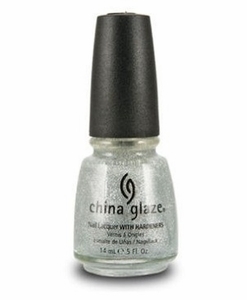 China Glaze Nail Polish, The Ten Man, 856, .50 fl. oz. Slightly frosty light silver nail color with silver micro-glitter. China Glaze Wizard of Ooh Ahz Returns Collection.